Grandpa Great is an amazing man. He has more energy than I feel like I do on most days. Bob and Janet were coming down for Jade's meet and Scott suggested they invite Grandpa Great. I don't think anyone expected him to do the hour and forty-five minute drive, but he accepted right away. We were thrilled and Jade was ecstatic that he was coming down to see her at a meet. (She worries about him quite often since Grandma E died). 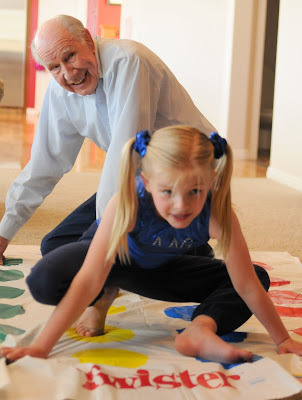 Grandpa Great joined in the Twister games and had a great time. 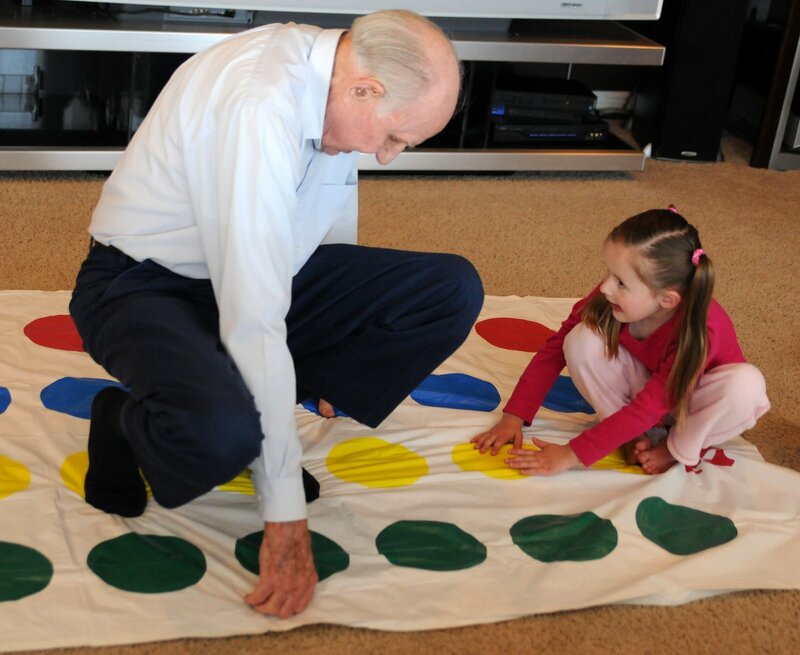 He even fell to his fanny and bounced right up to continue playing. I have a feeling that playing Twister with Grandpa Great will be a memory that they will have for a very long time. (Plus it helps that they'll have pictures of it in their books). Scott also joined it and did a great job of pinning and tickling Jade. Ivy decided to show everyone how well she can read. This poor girl is going to be pretty bored next year in preschool. But boy does she love that she can read. (Actually, having Ivy read has helped Jade with her reading. 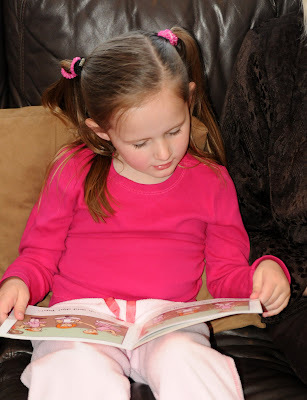 Jade will tell Ivy that she can read all of the 4 or fewer letter words on the page and Jade will read the longer ones. Great teamwork - not so easy to follow the story though.